The SP sliding system with its 45º joining cuts offers a perfect framing with the jamb systems, thus ideal for areas in which both systems coexist. The minute section offered by this system allows its use in small spaces. 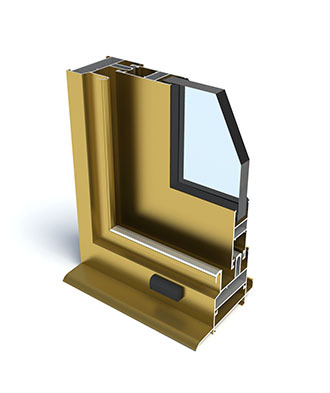 This system is often used as a second window, to reinforce the thermal an acoustic break in building remodelling.